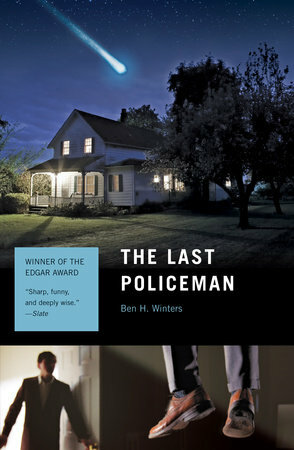 The Last Policeman was a very compelling read. In this pre-apocalyptic novel, we meet Henry Palace, a newly promoted detective. Henry refuses to stop investigating a suspected murder case despite having the knowledge that the Earth and its inhabitants will be eradicated by an asteroid. The events laid out in the book lead readers to ask more questions than a typical "whodunit" mystery. It leads you to reflect on what you would do if you only had 6 more months on Earth. Would you continue living your life? Go on an extended vacation? Or just choose to end it all by your own hand? This is the first in the Last Policeman Trilogy. I really enjoyed this book and I can't wait to continue reading about Henry Palace in the sequel, Countdown City. I was introduced to The Last Policeman series through The Morning Show Book Club. You can read more about the book club and its next featured read, Black Swan Green by David Mitchell, here.